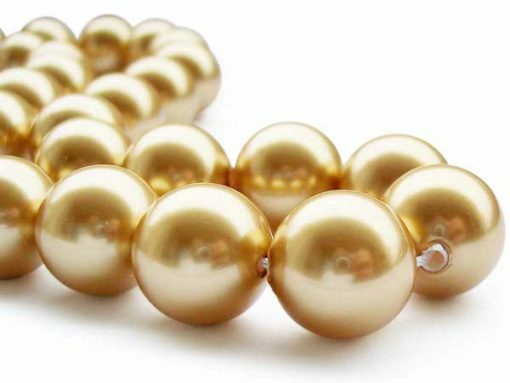 These large 14mm Southsea shell (replica) pearl strands are very round in shape. 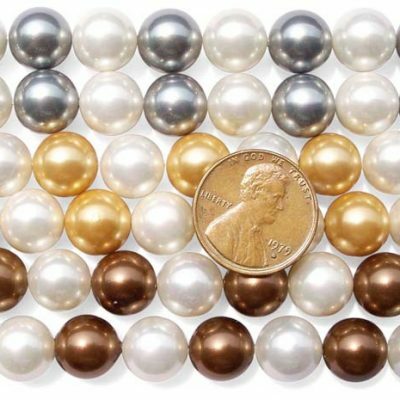 The pearls are AAA grade, with very high lustre and almost no surface flaws. 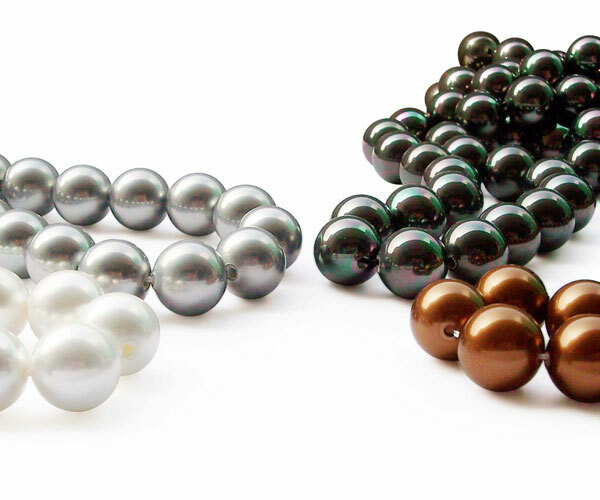 silver grey, peacock black, chocolate, and champagne colors for immediate delivery. 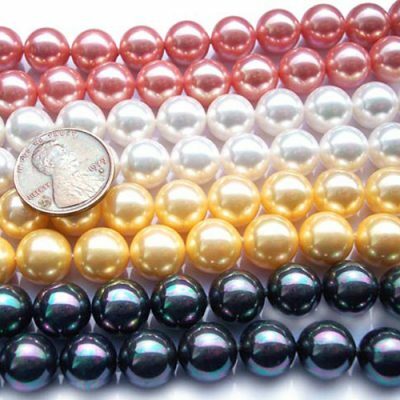 All these pearls are drilled with 2mm size holes for jewelry making. 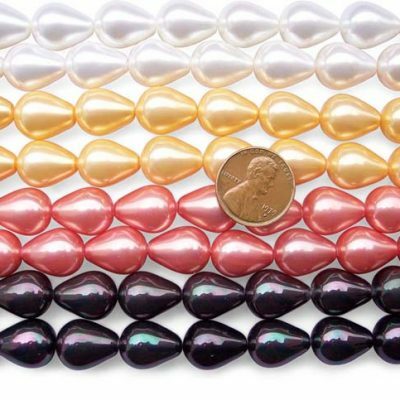 There are approximately 30 pearls on each strand at 16″ long.